I didn’t get a breadmaker for Christmas. Telling my husband “I want the breadmaker they are selling at Grocery Outlet for $30″ apparently was not enough of a hint. He didn’t think I was serious, even after I told him “I’m serious, I want it”. So, after I failed to find the bread maker under the tree on Christmas morning, I sent him to GO to buy it anyway. 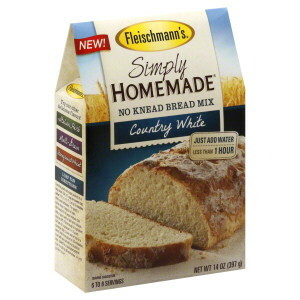 I got it last night, but it didn’t come with bread flour or dry milk. I could, I suppose, go to the supermarket and get those things – but I figured instead I’d look to see if I could find a recipe that used all-purpose flour. Indeed, there is an abundance of them but I settled on the one below because it was easy and got good reviews. For being my first time making bread, I was quite pleased. The bread wasn’t perfect, but it was quite tasty with grilled cheese, and even more with plain butter. The bread is a bit sweet, so it’d go great with jam as well, or honey. On the minus side, I used the 58′ express setting and the bread didn’t quite bake all the way. 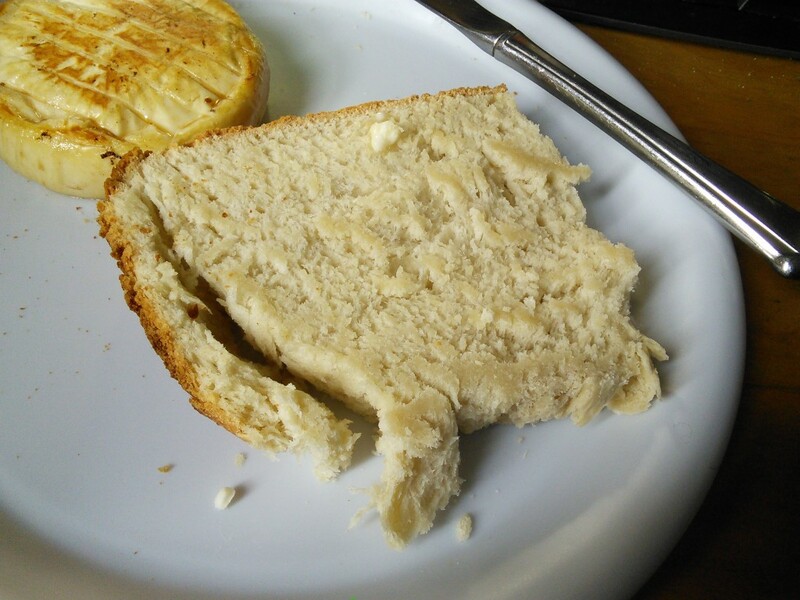 It was also quite crumbly; I was able to cut it with a bread knife, but it didn’t hold fully together. It was a bit dense and tasted a bit too much of flour, which I’m not sure if is a good thing or not. My oldest didn’t really like it, but my youngest did. I’m going to experiment with other recipes, but given that I can make this in a little over an hour, with regular ingredients, I’m sure I’ll make it again and again – next time in the regular time setting. Update I made this recipe again using the basic bread maker option. The results were very good. The bread had a browner crust and a more complex, balanced flavor (my older daughter compared it to sourdough, but I still find it sweet). It was still underdone, however. I did cut it right away, rather than let it rest, but it was just as crumbly as before. All in all, I’m not sure it’s worth the extra time. Update 2 I made it for a third time at the slower Express setting. Camila thought it was the best, while Mike thought it was much inferior to the 3 hour setting. I was happy enough with it, but the 3 hour setting does produce the best crust. Place the yeast, sugar and water in the bread machine basket and let sit until it foams, 6 to 12 minutes. Add the oil, flour and salt. Place in the bread machine and cook in basic or express.